Hey there and happy Wednesday to ya! 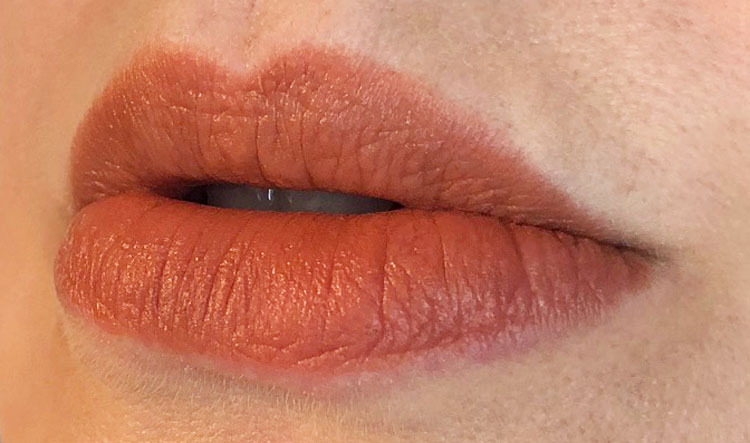 Today I have the new MAC Powder Kiss Lipstick shades for your enjoyment. 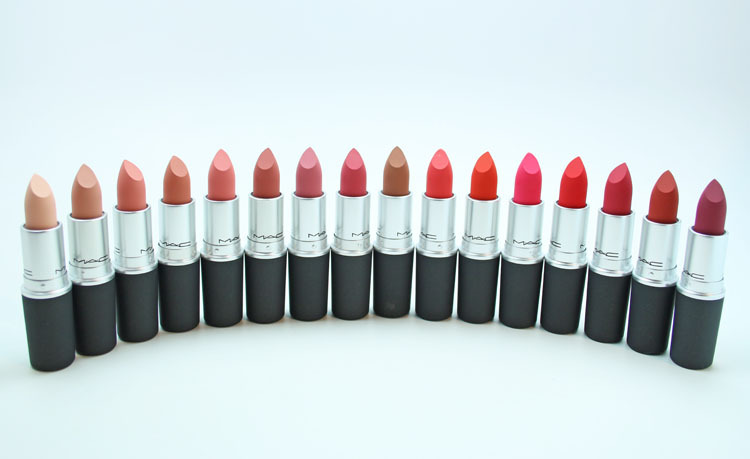 MAC Powder Kiss Lipstick is a matte lipstick with a powdery feel and look to it. It was developed backstage to replicate a huge Fashion Week Trend, which was to make the lips look soft and have a hazy, powdery effect. 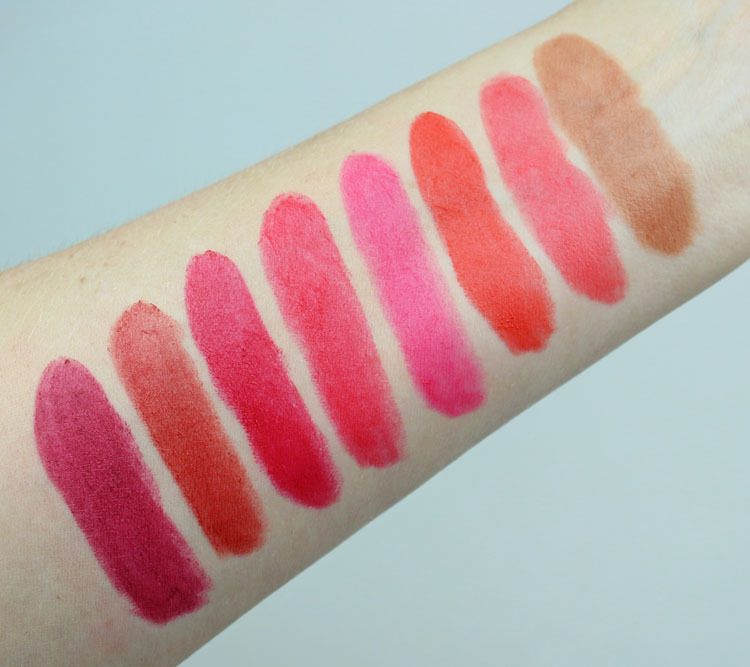 These lipsticks have moisture coated powder pigments in them, which helps make them easier to wear. They are super lightweight on the lips and are not meant to have major pigmentation. They are slightly build-able. Best Of Me is a pale milky pink/tan. Influentially It is a pink/beige. Sweet, No Sugar is a warm pink. My Tweedy is a blush/tan. Scattered Petals is a medium pink. Mull It Over is a peachy/orange. Sultriness is a cool-toned medium pink. A Little Tamed is a bright medium pink. Impulsive is a warm-toned brown. Mandarin O is a bright salmon pink. Style Shocked! is a bright red/orange. Fall In Love is a bright fuchsia. Lasting Passion is a bright red. Shocking Revelation is a bright blue-based red. Devoted To Chili is a warm-toned brick red. Burning Love is a deep wine/red. I wore Sultriness for a few hours when I got these to see how they applied and wore. They actually applied super easily and smoothly. Even though they have that powdery texture which almost seems like it would skip, they glide on nicely. They do feel super light, as though you are wearing nothing or a light balm. They do have a stronger scent/taste than their other lipsticks have, I noticed. It’s kind of strange. 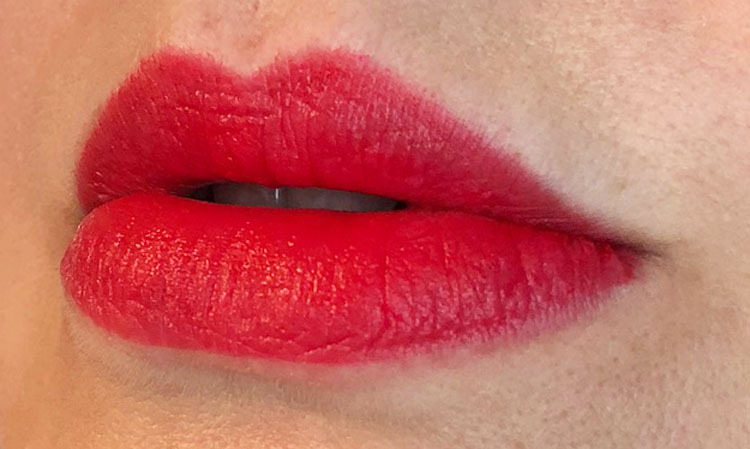 I was able to build the color up on my lips a bit but because I prefer a more clean, crisp lip line when I wear lipstick, it looked too soft and blown-out for me. It did last decently for the 4 hours I wore it and my lips did not seem to get more dried out. They are more comfortable that most of the matte liquid lipsticks out there for sure. The MAC Powder Kiss Lipstick collection will be available on October 11th! Are you into this powder lipstick trend going on right now? the last one I purchased and love was Diva but suffer everytime I decide to wear it.. 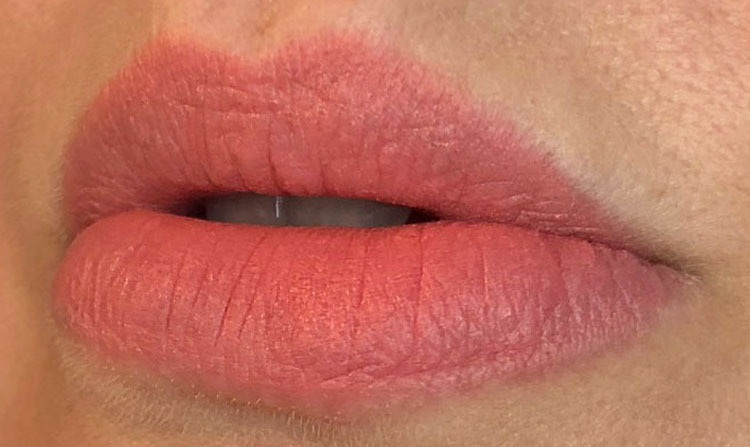 I understand that, I too always have dry lips. Fixed, thanks for that catch! I *wasn’t* interested before. I love the look of matte but I usually struggle with the after effects. 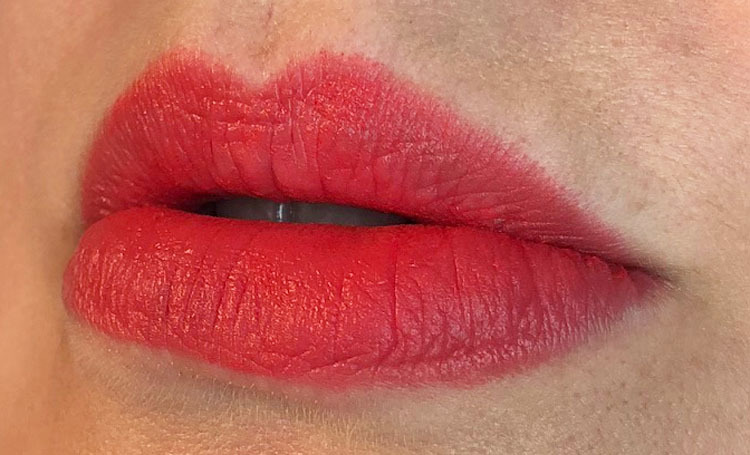 I normally like matte lipstick, but something about the texture of powdery matte lips just doesn’t look right to me. 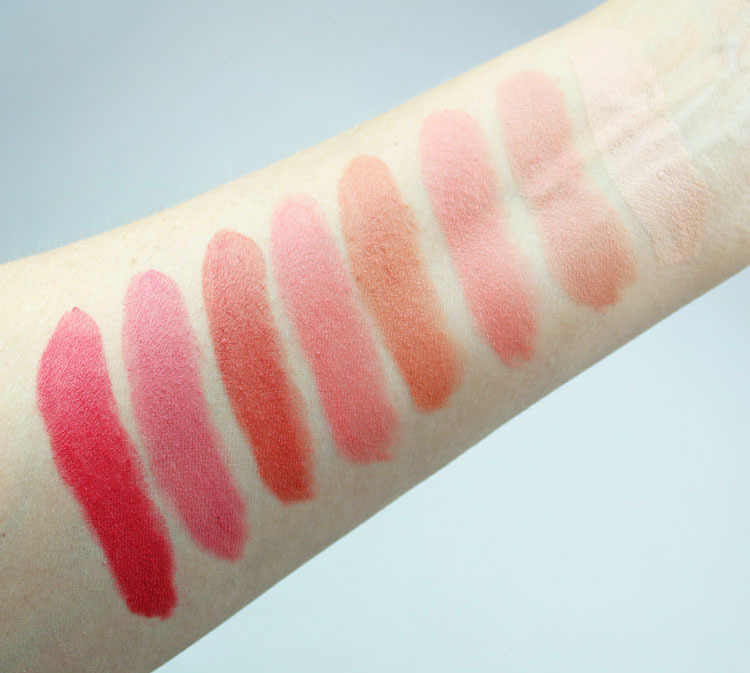 These ones don’t look that bad though, I think I’d have to swatch it in person to figure out if I really liked it.